Once the sequence is over, first collect the 3 Medi-Kit and 3 throwing knives. On the way to the destination point, you can hang a left climb down to loot a crate and pick up more throwing knives. In addition, you will meet a snow leopard. This you can easily do with 3 throwing knives. The right of the leopards there is another box to plunder. On the way to the cave, you will see a guard that can easily beat with a throwing knife. In the cave itself waiting for 2 more guards who can both do with a takedown. Grab now the dropped sheet, looting the corpse and box, and walk out of the cave. Once outside, you can collect the gun. Next, you grab the wingsuit fly in the small ravine to continue to loot chest there. Also, you can find a gun there that you can redeem. Once you have arrived at the relay station, you should first check all the guards with your camera. In addition, you should disable the alarm, shoot with a bow, or disable it manually. Once you have completed all the guards, the mission is accomplished. Before you go into the house, you should plunder all the guards to get you a little money for weapons. Once you have everything needed, you can go to the radio and start the mission. The best view you have from the roof of the house. In addition, it is recommended to use a silence weapon, since it draws less attention to you. Survive the 3 waves of attack and you have done it. In this mission you have to save the pilot. Go out of the house, grab yourself a snowmobile and go to your destination. Once you have gone through the cave, you will encounter 4 guards in the area. Turn out it or sneak past and go into the next cave, to the destination. In this cave wait 5 guards. Once these are done, you can relieve the pilot. After the cutscene, you wake up in the victim cave run along the away until the next cutscene. On the way you can still collect green leaves and loot chests. Once you're in the big cave on, head centered in the small cave and climb the rope. There you will find the grappling hook. Now we have to be quick so you don’t get the Yeti. It's best lures him away from the climbing rope and then quickly run there to escape. If you step out of the cave, you must first mountain climb down and find your gear. This is in the tent in a red box. Once you have your equipment back, you can flee or secure the area. Once the area is secured, it goes back to the relay station. Before you start the second night, you should definitely buy new weapon and upgrade your base. Come out of the house and grab a snowmobile to reach the crash site. There you have read the note next to the corpse lying on the river bed. There are 2 guards waiting for you, they can kill you, but don’t need it. Now you get the order to manipulate the 3 phase generators, so grab a vehicle and go to the destination. Here are just 3 guards in front of the camp. In the camp itself you will find many chests to loot. Once you have manipulated the generator, you can travel to the next. Here several guards will be waiting for you, also have a dog and a heavily armed soldier. You can simply sneak to the generator and sabotage it or kill all the guards and then sabotage it. You will also find in this village again many boxes that should plunder. Once the second generator is sabotaged, it's on to third parties. Once you're at the target point of the third generator, there a Yeti will be waiting for you. Once again, you can just quickly sabotage generator and flee, or kill the Yeti and do your job in peace. Before you start the third night, you should definitely buy new weapons and upgrade your base. Be warned, in the second wave a Yeti will come. In this mission you have the bomb maker free. It is recommended to use a Silence weapon, because you are allowed to trigger an alarm, otherwise die of bomb-makers. But first you need a convoy attack to get the prison key. Yard a few mines on the road to stop the vehicle, and you have an easy game. Grab the key and drive to the prison. First secure the area outside. Select all the guards with the camera on and off the alarm. Once the area is cleared, you can go to prison. There, you should first disable the alarm. And then eliminate all soldiers. Once you've done that you can free bomb maker. Now you must still bring him out of jail and protect him. Once you've freed him, more guards will come. Kill them and continue outside, where more guards will appear in vehicles. Once the last guard's done, you've completed the mission. Before you start the second night, you should definitely buy new weapons and upgrade your base. 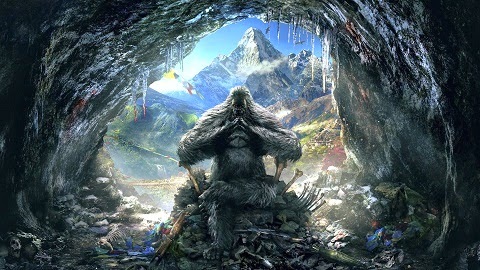 In the third wave of attacks a yeti will appear. First trip to the waypoint and collect the explosives. Once you've done that, it goes straight on to the temple gate. Once there, you will meet wake up 2. Take them out and place the explosives. In stock arrive, you should first select all visible wake with the camera and disable the alarms. Once all are eliminated, can destroy the elixir supply and loot all the guards and chests soul at rest. After you've destroyed the elixir supply, more guards will appear. Eliminate this and run through the open gate. Now the leader of the disciple Yalung kills Master Sandesh. First, you should check back all the guards with the camera. Once all the enemies are done, run up to the tower and collect the information. In both attack wave a yeti will appear. Survive the 2 waves of attack and you have done it. Now you shall destroy the relic, go to the destination point and climb the mountain. At the top, you have to take several guards and a Yeti, also do you need an oxygen mask, which you can find at looting the corpses. Further up the mountain are waiting for more guards and Yetis. In the temple arrive, more Yetis are waiting for you. Kill them, and don’t be seen by them. If you attack the relic, a cutscene will come and you have to destroy the roots of 7 relics before you can attack the relic again and the mission will end.